Of course, we all know what a sailboat is. 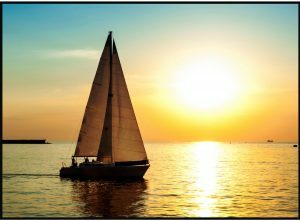 However, sailing vessels are by far the most romantic, challenging and rewarding ways to move about the water. There is so much to learn…where to begin? We have included a couple of links to help you discover sailing, and decide if it is for you. Whether you are a beginner or a seasoned sailor, there is always something to learn.